Hey guys, Trevor Crane here again. I’m gonna talk to you about how you can use your book as your most powerful marketing tool to help you grow your book and your business. Now, if you haven’t seen the last video that I just made, I talked about how you can write a great book really fast. I covered why it’s so important for you to get your book out now, and how helpful that’s gonna be for you. I also focused on, how you’re really missing out by not having your book available to the world. So make sure you check out that video – if you haven’t, you’re gonna love it. 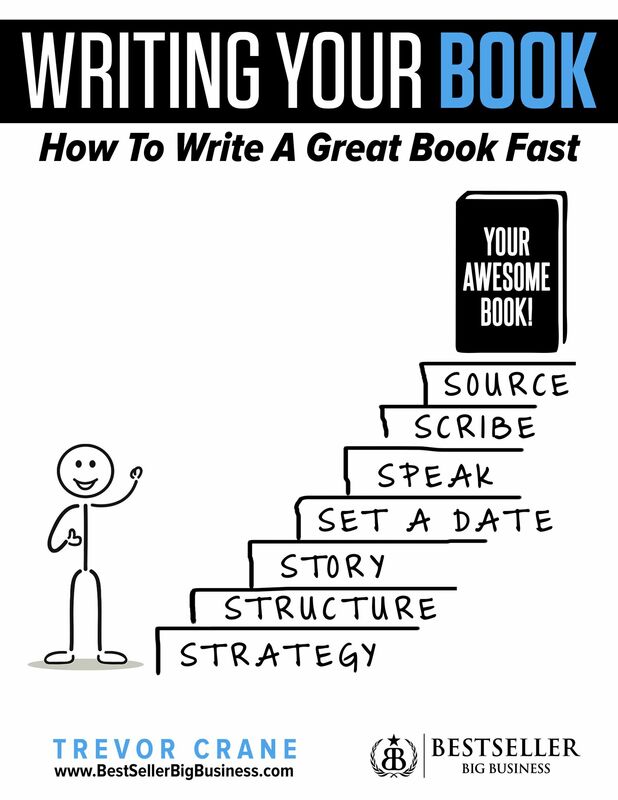 I give you some simple steps to write your book really fast, and how to make sure you write that great book for your great, ideal, perfect client. The cool thing about this is it’s just one step at a time. Now, I don’t want you to think of all the things I’m about to share with you and have them overwhelm you. I remember when I was in my 20’s. I decided to take my ﬁrst trip out of the country. I just ﬁnished college and I packed up my backpack and I was gonna take a world trip. I was on my way to Australia. I grew up in Arizona and I bought a ﬂight to Australia. On the way, I had to stop off in LA. In LA, I landed in the domestic terminal, and I put my backpack on, (the one that I’d packed up with all the stuff that I thought I needed for this trip), and I had to walk from the domestic terminal to the international terminal. On the way, I got so exhausted, I had to stop. What I packed was so heavy, I actually had to stop and unpack it and take many of my precious items out and throw them away. I hadn’t made it more than about two hours away from home, and I was already overwhelmed. I had over-packed my backpack. If you try to understand everything all in one shot, it’s gonna be overwhelming, and over-pack your backpack. But I am going to give you a great overview of the next 12 months of what you can do to really market your book and tell the world about it. Most people think that they need to write a book like Ernest Hemingway. They think they just go ahead into the dark, like they gotta go to a cabin in the woods and just sit there and write. That’s not how you have to do it. On the last video, I talked to you about some strategies to write it fast. In this one, I’ll talk about making sure that once you do get your book, you know how to market it, and share it with the world. So, the ﬁrst step, after you do the strategy stuff I talked about on the ﬁrst video, is to TELL THE WORLD. I call it your DECLARATION phase. Now, when my wife did this. She’d been teaching something called MONEY PARENTING. When she ﬁrst discovered money parenting and decided what it was and created it as her concept, she started teaching it to parents of small children. Parents with kids in kindergarten or preschool. This is how she ﬁrst ﬁgured out that niche marketing – she broke six ﬁgures really fast. Now, at the time, she decided she was gonna write a book about money parenting and started interviewing people. She focused on a lot of women who were really successful, and engaged them in her new project. See, she declared to the universe she was going to write her book. This led to man new relationships. And I’ll tell you a little secret… she actually hasn’t ﬁnished writing that book yet! Instead, what she found was there was a better book out there for her to write! She did published a book. And it did become a number one bestseller overnight… but it was not about Money Parenting. Instead, because of her research, and interactions with people about her topic, she wrote a better book. Or at least, the right ﬁrst book for her, and her target audience. Her book is called, Mind Over Money Management – Strategies Your Financial Advisor Wont Tell You. What I’m doing here is sharing with you what I believe your ﬁrst step really is. Or if you do know your title, using this strategy, you might want to revisit it, because you want to share that with the world… to ﬁnd out what they think. You want to write and promote a book that people want. And the best way to ﬁnd that out is to engage with them. at every stage of your book. I wrote a book last year, with 20 other #1 bestselling authors. It’s called, Your Epic Book Launch. In it, we detail 7-Phases of Your Epic Book Launch. Today, I’m gonna share with you those seven phases, or stages, of your future awesome launch… of your book… and how you can tell the world about it. Yes, even if you don’t know the title. Even if you don’t know everything (your content) that’s gonna go in it. Don’t let that hold you back from marketing. Because marketing is simply communication. But that’s not how Tesla did it. That’s not how Elon Musk did it. To date, I think they’ve sold almost 500,000 new cars. Cars that aren’t even going to be manufactured for over a year! Okay?! This is evidence that you can do this. You can tell the world about your stuff. You can do so, before it’s in the world. And this is something that you want to embrace when it comes to your book! So, once you tell the world that you’re gonna have a book, let’s get to the real meat and potatoes here, which is when you PRE-LAUNCH YOUR BOOK. You may not know this, but similar to Elon Musk and the Tesla… you can pre-sell your book… BEFORE it’s created. If you do the stuff I shared with you on the last video, you’ll understand who this book is for, what the name of the book is, and it’s basic table of contents. You’ll have the general idea of it. You’ll have an overview of what goes on in this book. And, that’s all you need to go on Amazon and pre-sell your book. Now, Amazon will give you a 90-day deadline to get it done. 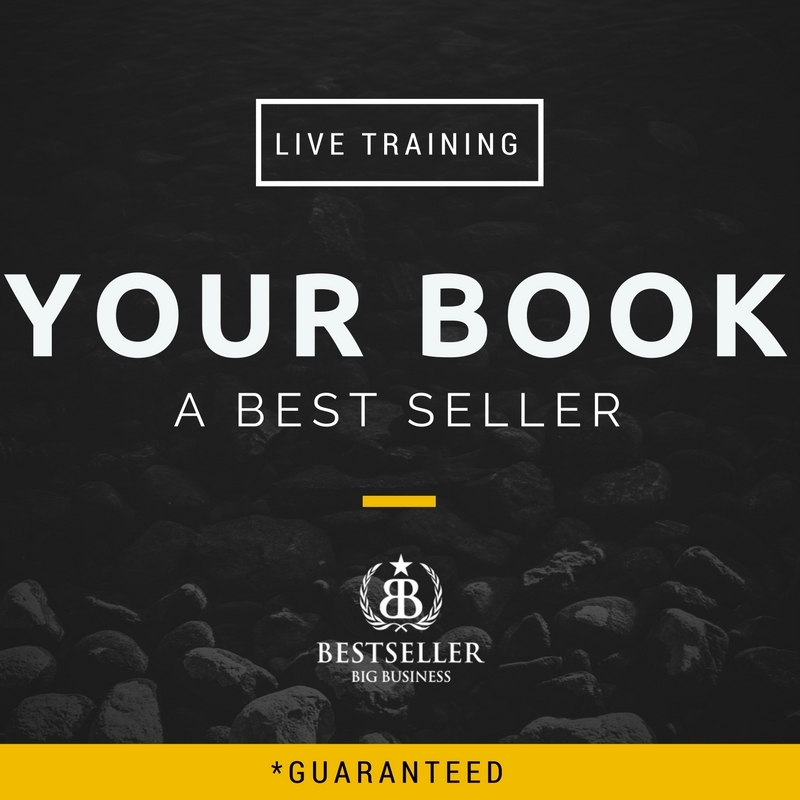 When you Pre-Launch your book… it’s a great opportunity to become a #1 bestselling author! This is the time that you can become a number one bestselling author! This is what we used with my daughter’s book, for example. Now, my daughter wrote her ﬁrst book when she was 7 years old. On her 8th birthday, we did our pre-launch for her book, and she became a number one best-selling author. Keep in mind this was before we’d ﬁnalized all the details of her book. This is called pre-launch, because it’s NOT ﬁnished yet. And you’re not cheating the system. Well, what we’re doing here is modeling the best businesses in the world. Apple did this with the iWatch, right? That’s what the prelaunch of your book is. What makes this really cool is that, like I said, Amazon will give you a maximum of 90 days once you prelaunch it. This means, you have 90-days to get your e-book ready. Yes. That’s what you do. It’s another opportunity for press releases. It’s another opportunity for you to get interviewed. It’s another opportunity for you to talk about your book. 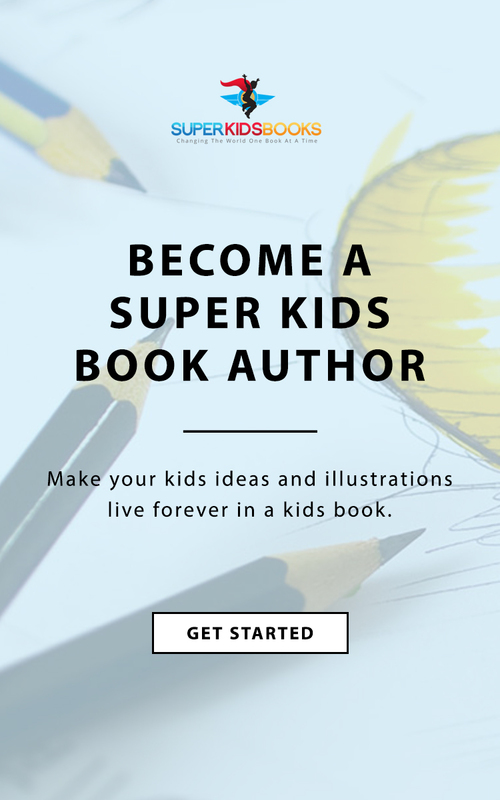 Well… think about how cool it’ll be when become a best-selling author! 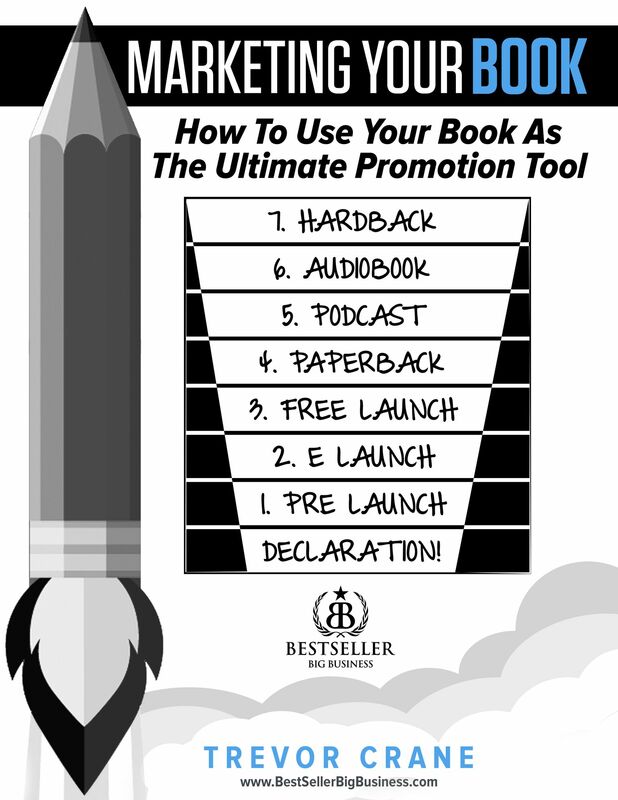 Now you’ve got to get the stuff down and it’s time your e-book launch. You got the deadline from Amazon, you met it, and got your done! You’re now a published author! This means that now your book is available on Amazon. All you have to do, is upload your ﬁnal version of your ebook, and you’re done. Amazon does the rest. Everyone who previously ordered your book during your pre-launch will now have it delivered directly to their devices. And yes, now your book can go everywhere where good books can be sold… well, everywhere you can put an e-book. Your job during this phase of your launch is to TELL THE WORLD. When you have your e-launch you want to announce it with just as much fan-fare as you did when you pre-launched your book. You are now in the MARKETING and PROMOTION business. Be loud. Stand out. Get attention. If you don’t, nobody will know your book exists. You don’t have to do these in the exact order like I’m sharing with you. Yes, typically, this is the way I recommend you do it. Depending on you and your business, you might want to start with different phases, in a different order. I’m just covering them in the sequence, I typically recommend, here. So, depending on how you want to do it, you might want to start with a different type of launch. By the way, make sure you signup for the free webinar I teach about this. That way, you can decide what’s the best thing for you. Now, let’s get on to the PAPERBACK. Here is what my buddy, Steve Napolitan did. His book is called, Capture Clients, Close Deals. Because he told the world, and people responded. Steve chose to talk to his potential clients and ask them what they wanted. Based on their answers, he ended up crafting the book for his ideal target client. First, Steve had his pre-launch. Then he had his e-launch. So, everybody who bought it on Amazon was able to receive it. Then, he published the paperback. Now the paperback launch is just another opportunity to communicate with the world that you, and your book exist. It’s another version of your book. Possibly, you’ve modiﬁed it by the time your paperback comes out. One of my clients, Michael Bunting, had his e-book come out… but her was getting pressure that people wanted his paperback. 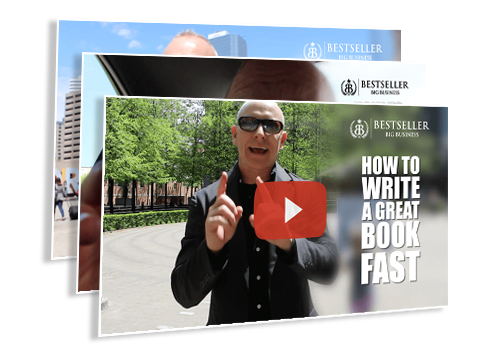 Michael wanted to give it to them… He wanted his paperback book to come out immediately – he wanted to skip the pre-launch, and the e-book launch, and just launch them all at the same time. But I coached Michael to to stage his launches. And you don’t want to miss that opportunity! You still get to celebrate it, it’s coming – but think of marketing and what has to happen to get people to want to buy from you. Marketing typically has to hit people 8 to 12 times before they will buy from you. So make sure you don’t forget that! Marketing your book is about creating attention and noise, and creating a buzz. So once your paperback is done in that physical version, YES… you can hold it in your hand and ﬁnally give it to the people who are waiting for it. But let’s go back to Steve for a second. Anyway, this weekend, Steve Napolitan is going to be speaking for the ﬁrst time. He ordered 300 of his books and he’s gonna be launching those and celebrating the paperback launch of his book, while he’s speaking on stage in front of hundreds of people. And he’s gonna have his book there to either give away (or sell… I’m not sure how he’s doing it). One of my business partners, who helped co-author a book with me last year, is named Aaron Canard. Aaron gave his book away for free for 18 months. He has hundreds of reviews about his great book, The Positive Thinking Secret. In it, he tells his story that is truly inspirational, so you should absolutely check it out. 12,000 of them stayed on his list, and then Aaron started offering them things for sale. Aaron started making money on the backend of his book. Aaron, has now sold hundreds and thousands of dollars worth of products and services. Today, I believe his book actually does have a fee on it, because he’s established his brand a little more and he already has his following. But a Free-Book Launch is another, and often the most powerful, version of book launch. (And, yes, Amazon will partner with you during a free book launch). A Free-Book Launch is phenomenal, you’ll get all this new buzz and energy. Another friend, and mentor of mine has actually made over $10 Million Dollars from his FREE-BOOK Launch. It’s offered it as free, plus shipping offer. This means he’ll ship the physical book, and they would cover the $7 or 8 for shipping. This often called a “tripwire.” Meaning, people trip into spending some money with you. Then, my friend, makes them an offer. helped him make $10 million. $10 million, by using his book as a free giveaway. So don’t discount these different launches. Consider how YOU can use them in your marketing! Another thing that you can do to get your book out to the world is an AUDIOBOOK. Recently, a friend of mine, who’s written several books, he told me he makes 10 to 50 times more sales on audible with his audiobook, than he does with his paperback. Plus, he didn’t even record it himself. He didn’t pay that much money, but they got the audiobook done and he sells more on audible, of the same book, than he does in the paperback form. And people spend more money for it! Make your book available in ALL of these different formats. We talked about audiobook, another version of this is your PODCAST. I have a friend of mine on our publishing team. 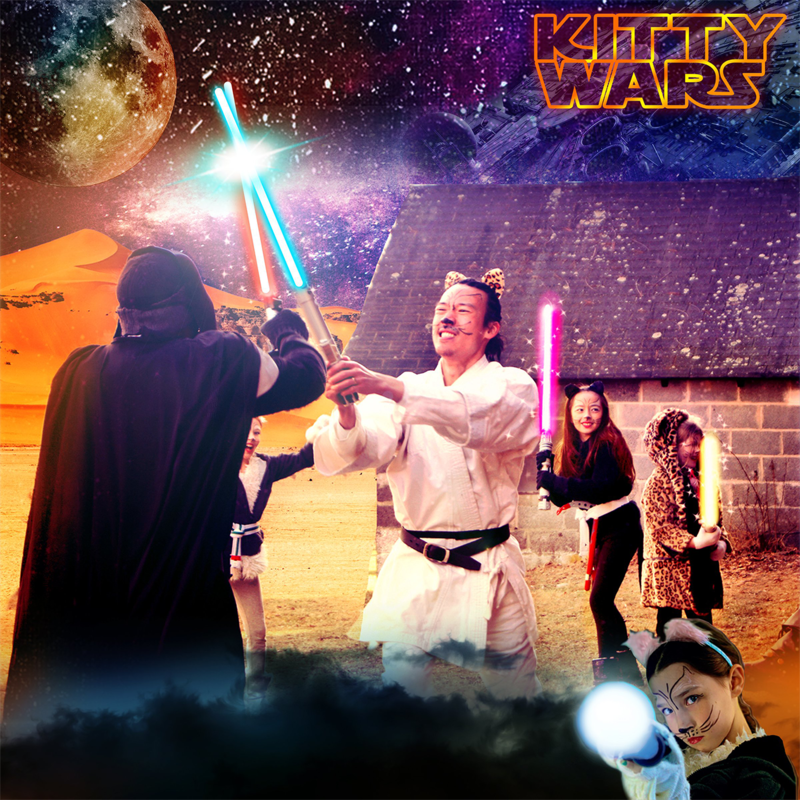 He’s one of the co-authors of, Your Epic Book Launch, and his name is John Coty. John decided that to write his book, he would start with a podcast launch. NOTE: He would start with it. Remember, I said, you don’t have to do these in any given sequence? In this example, for John, starting with a podcast-launch was best for his business and his brand. If you want to do the other steps and then do your podcast, you can as well. And do you know what’s great? Or, it’s the same gist of the content. What’s different is now you’re gonna be talking about it and interacting and engaging people, using a different media. John Coty began this in an area he was not an expert. John wrote a book, and started his podcast where he was the novice. Instead of being the expert, he interviewed the experts. His #1 bestselling book is called Healthcare Elsewhere. Yes, that’s also the name of his podcast. What he did is, he found all the people that were experts in “Medical tourism.” Something he didn’t even know it existed a year or two prior to starting this. But John decided he’d interview these doctors, and hospitals around the world, and John became an expert just by interviewing them. He took those interviews and transcribed them. Sure, he probably juiced them up a little bit to turn them into a book… which led him to our next launch. John used those interview to turn his podcast into a HARD COVER book. And yes, that’s another one your launches! Today, John has leveraged that into a multi-7-ﬁgure income. We’re talking about marketing here, okay? It’s alright to share numbers, right? Well, John has done a phenomenal job. In short, a podcast launch is another chance for you to tell the world, grow a list, and make a difference with your message. Now the last one I cover here is your HARDCOVER. If you’re like Stephen King, you might want to start with the hardcover. That’s how Tony Robbins did it. Tony Robbins’ new book, Money Master the Game: 7 Simple Steps to Financial Freedom, was ﬁrst a hardcover book. He used some of the strategies I teach in our Bestseller Big Business Program. Tony partnered with a bot a for-proﬁt, and a non-proﬁt company, to help launch his book. (This is something that I’ll share with you in more depth, if you join my BBB program and I’ll help you go from Blank Page to Bestseller in 90 Days or Less). Ultimately, Tony gave away millions of dollars. If I remember correctly from his video, somewhere around $20 million dollars. On the backend, as I said, Tony had a proﬁt partner. I’m not gonna tell you how that whole thing worked out right here, but Tony made a lot of money by giving his book away. A Hardcover-Launch is another opportunity for you to launch your book. So I hope you enjoyed this. And that you get some value from these ideas. Again, if you haven’t signed up for my webinar yet, make sure you do that. And on the next webinar, and on the next video – you’re gonna love it, because I’m gonna talk about HOW YOU MONETIZE YOUR BOOK. 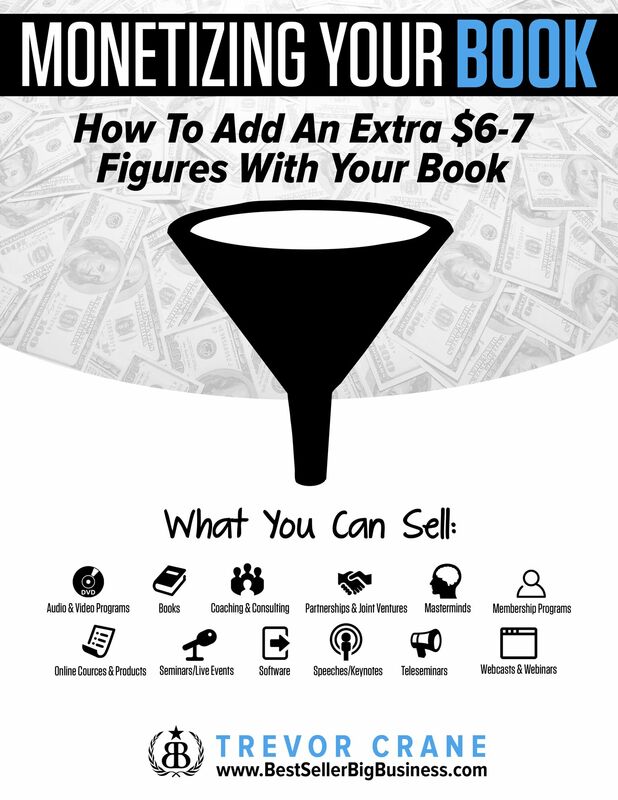 I go over 12 speciﬁc things that’ll help you make an extra 6 to 7 ﬁgures. Imagine adding extra income to what you’re doing with the book! And if you didn’t hear my story from the ﬁrst video that I made, my wife and I tripled our income with the power of books and some of the strategies I’m gonna be sharing with you. 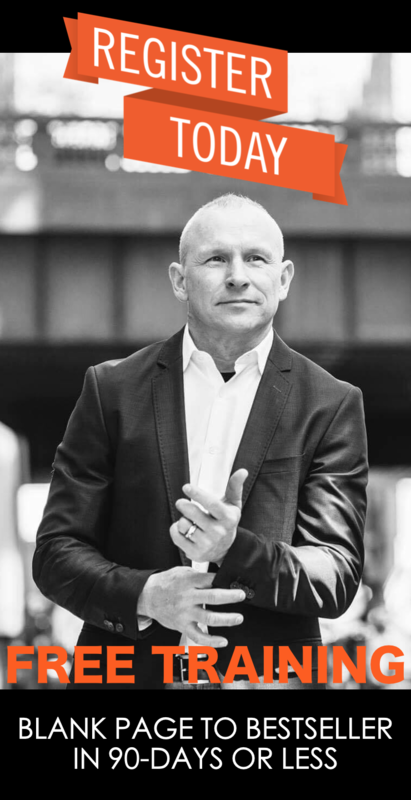 I can’t wait to work with you on our Bestseller Big Business Program and to see you on the webinar that’s coming up. We’re gonna cover even more awesomeness, to help you get your book out there and change the world.